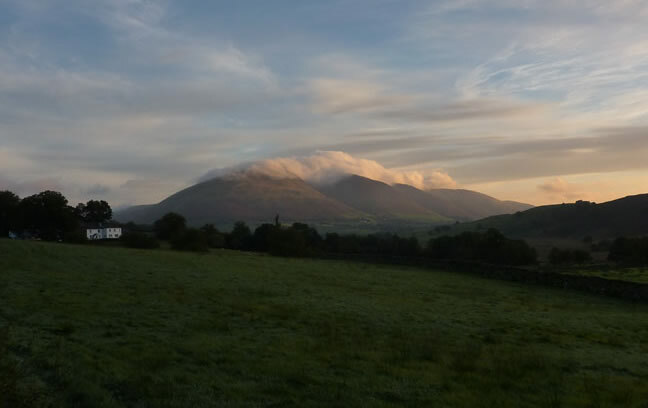 On the way to the start point, I spotted Blencathra still under the duvet. And fire on the Dodds! Say "Cheerio!" 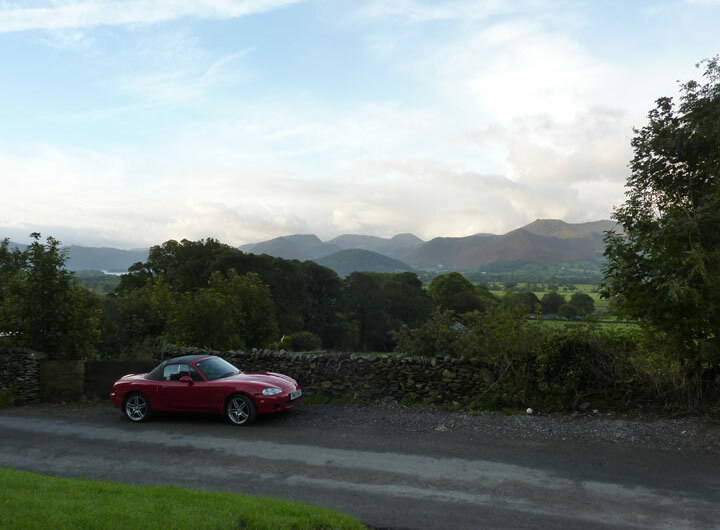 to the MX-5. By this time next week, The Ratmobile should be in the garage, de-taxed, SORN-ed and put to bed for 6 months. Not one grain of road salt will get the chance to corrode her underbelly. Roll-on April 2011! 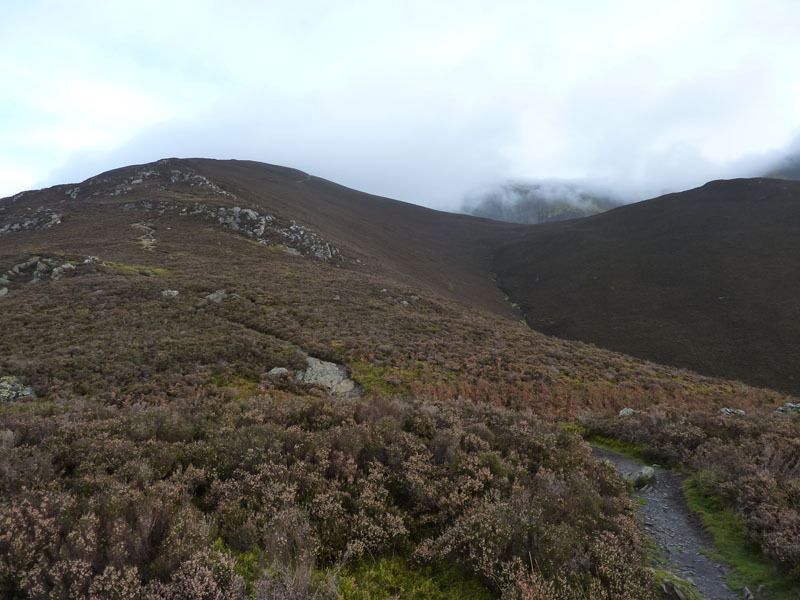 It was here that I met up with David Hall for a sudden and steep ascent of Carl Side. Barrow has sunlight on one side and casts a shadow onto Stile End. 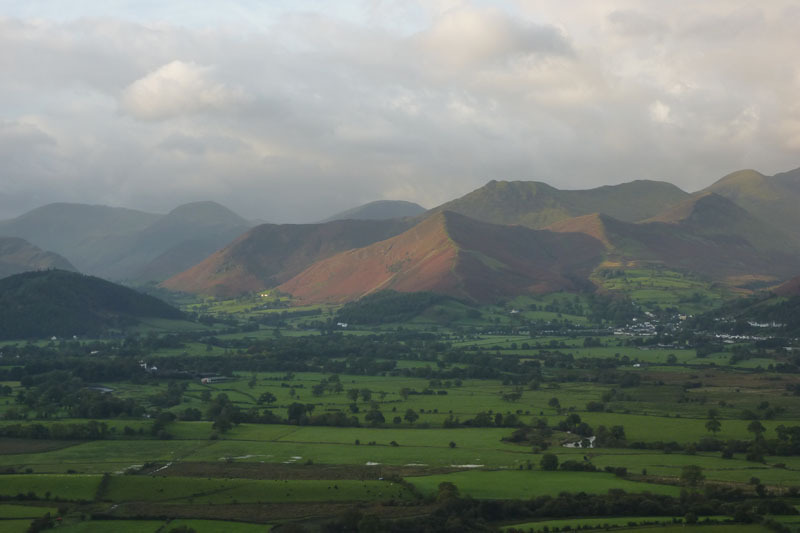 See how many fells you can recognise. 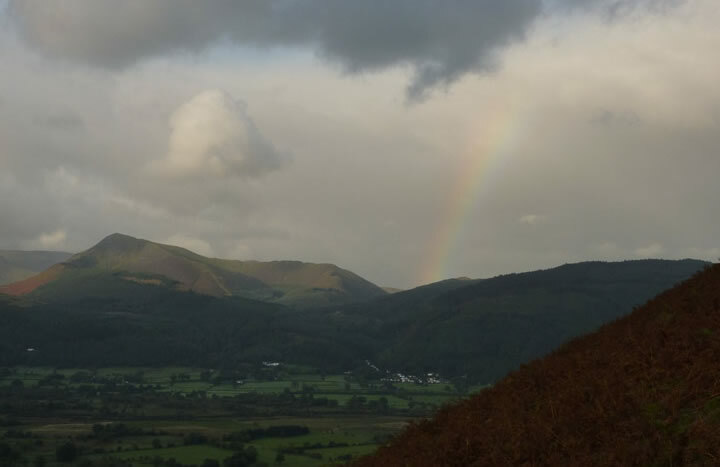 Not a good sign, there's rain in the air somewhere and the pot of gold will be on Whinlatter Pass. 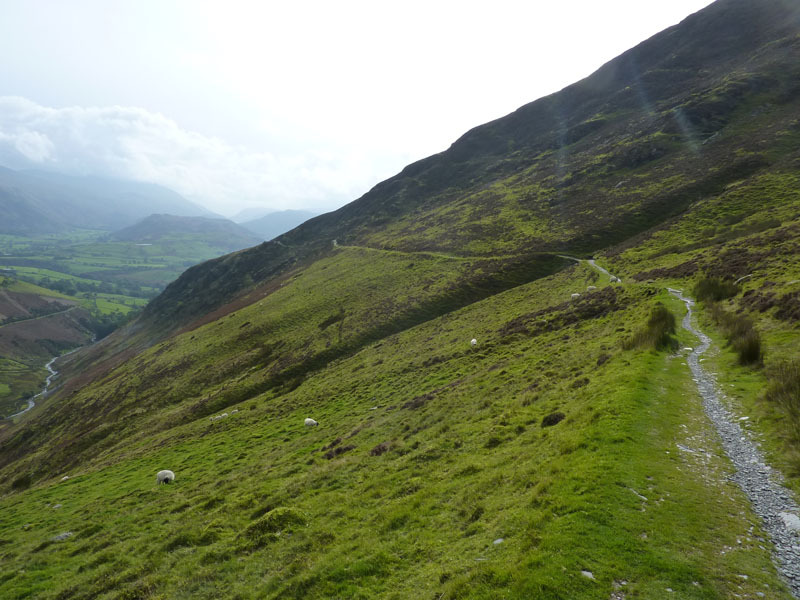 This route up Carl Side is direct and will gain us 2,100ft by the time we reach the summit and take in the "delightful" view southwards to Borrowdale. Hmmmm, I've put my waterproofs on in anticipation of rain, it's gone cool and that view ain't here. 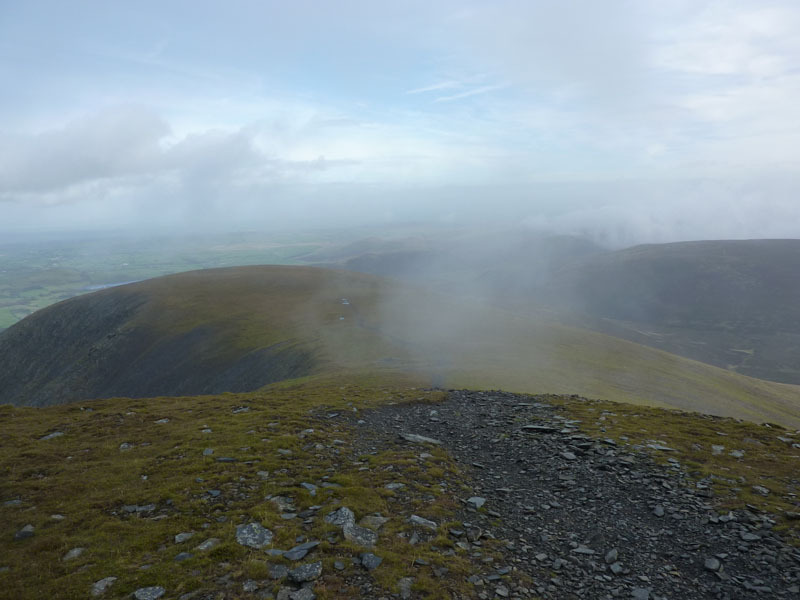 It irritated me that Carl Side was on my list of climbed fells, but I'd only been on top by virtue of descent route off Skiddaw; now I have climbed Carl Side, properly. I made the point to David, that climbing in mist is easier than climbing in good daylight. As you can't see how steep it is and how far you have to go, the psychological burden is alleviated. 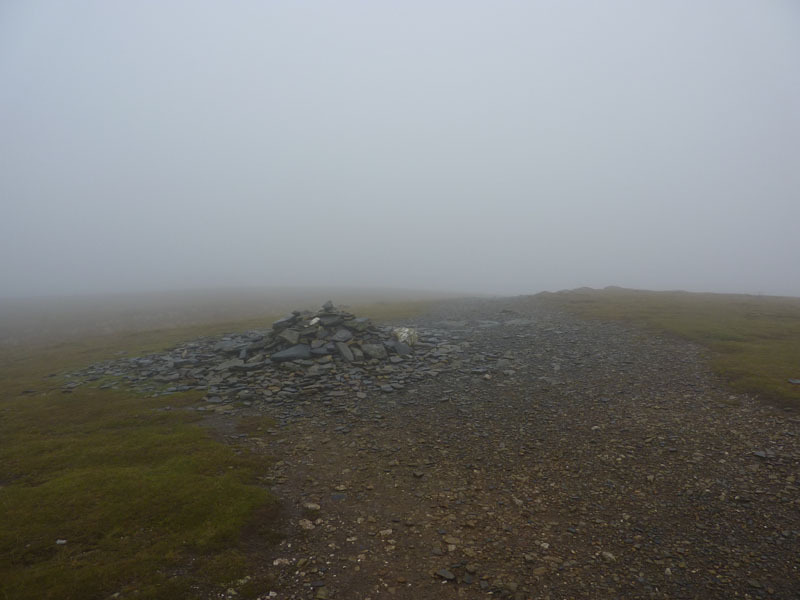 Skiddaw summit was reached in good time. Two hours from the car. Just now, we had no idea how the weather would develop and feared far too long would be spent in cloud, it's not raining. 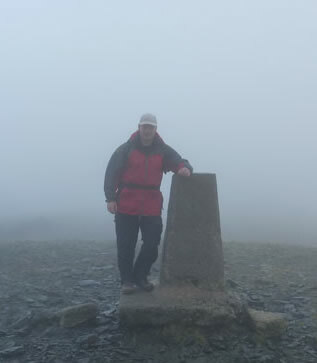 The first time I've been in cloud on Skiddaw, I've been lucky with the weather on all previous visits. Soon enough on leaving the summit, we were out of the cloud and the vista to the north and west opened up. 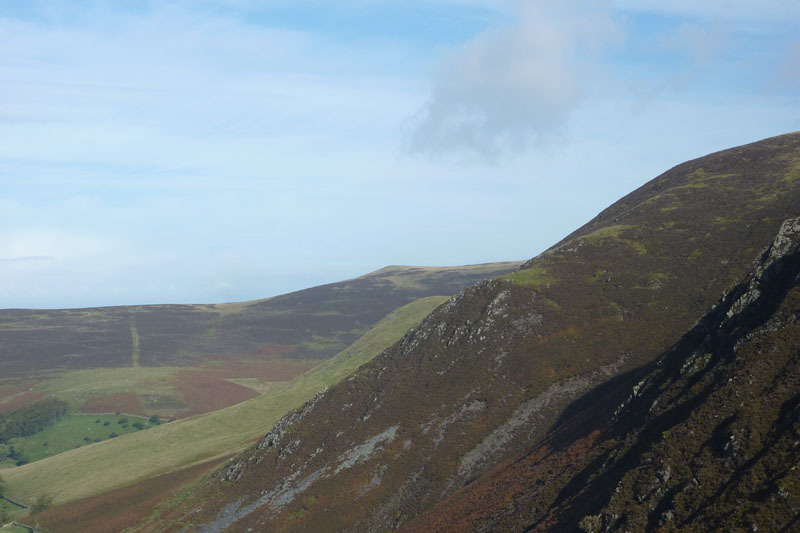 One of those Lakeland peaks you can climb down to, if you approach from the right direction. I'll go to the foot of our stairs! Where's the cloud gone? So much for the early start. We will be going over there quite soon. There's a big dip on the way. This lot got there first. A group of men, generally ignoring each other. 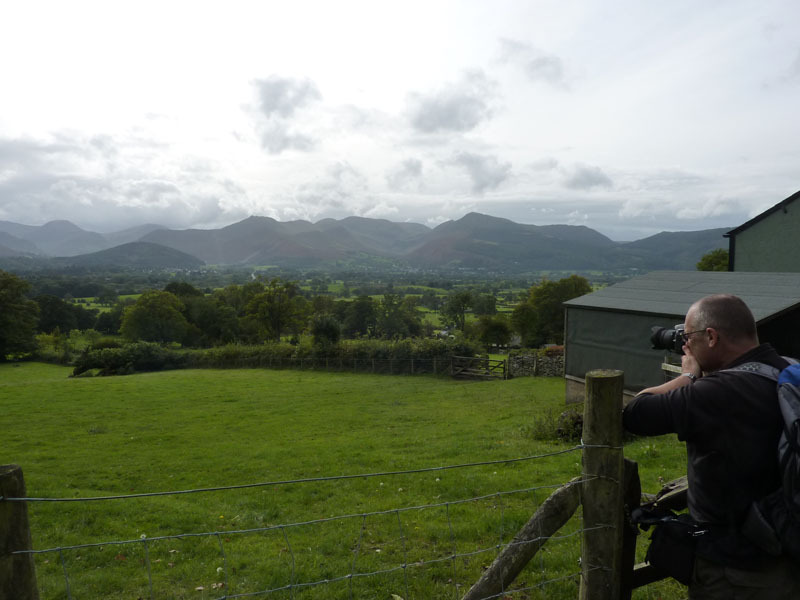 The bump on the horizon is one of the two remaining "Northern Fells" that I have yet to visit, Great Cockup. 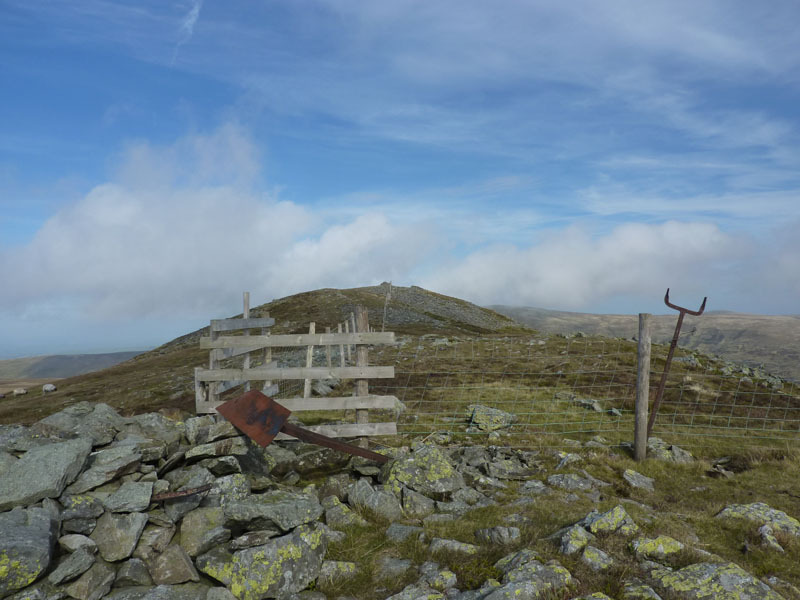 White Hause peeps around the edge of Little Calva. 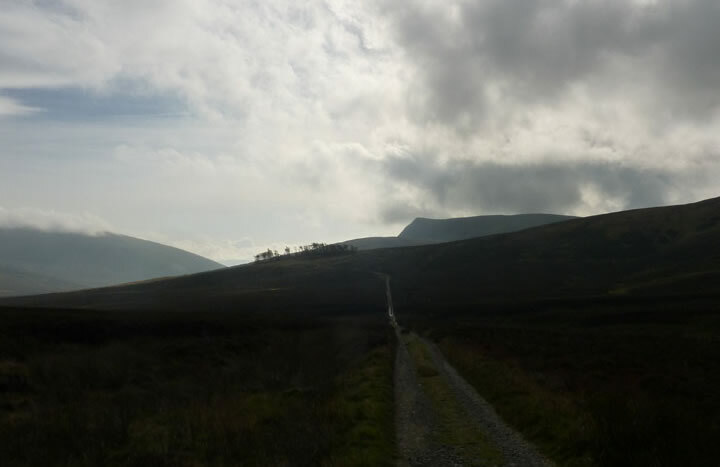 The other of the two, Great Calva is in my sights. 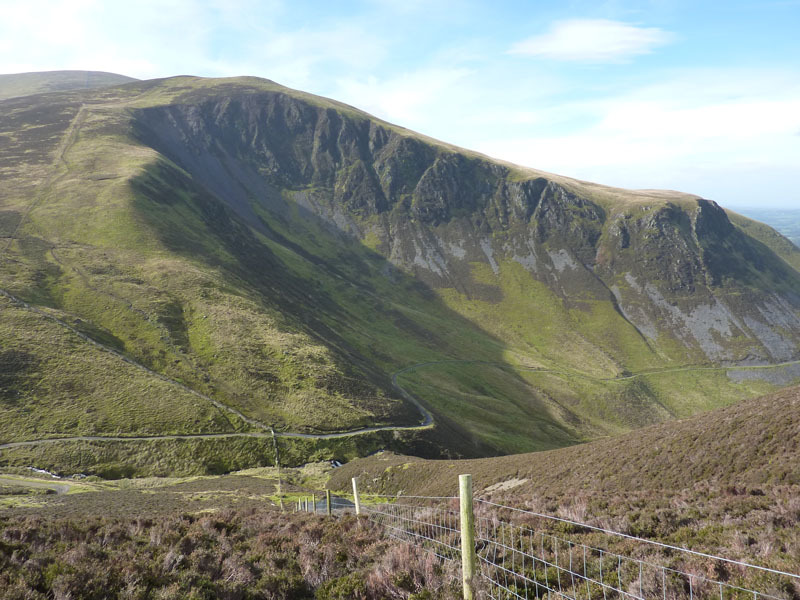 We have crossed the beck, the home of Dash Falls, and followed the fence up the steep incline to Little Calva. 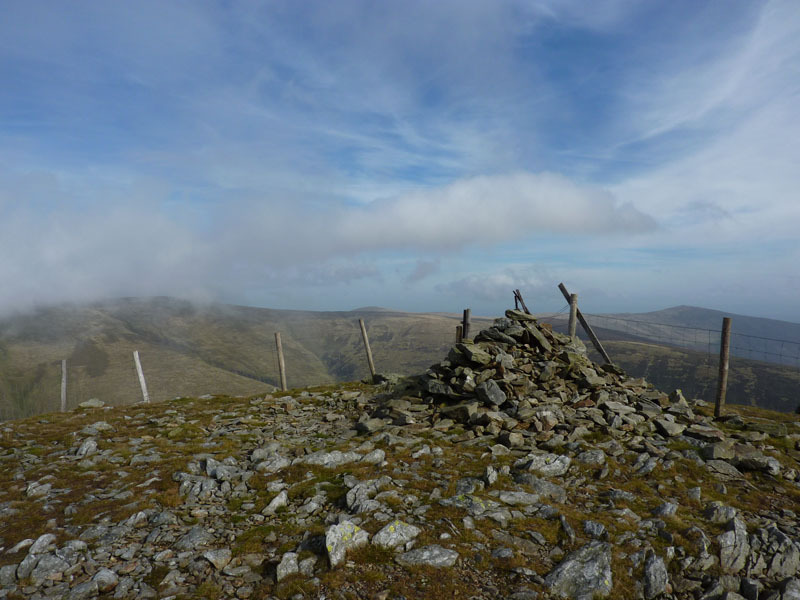 The squishy tramp across Little Calva leads to Great Calva. 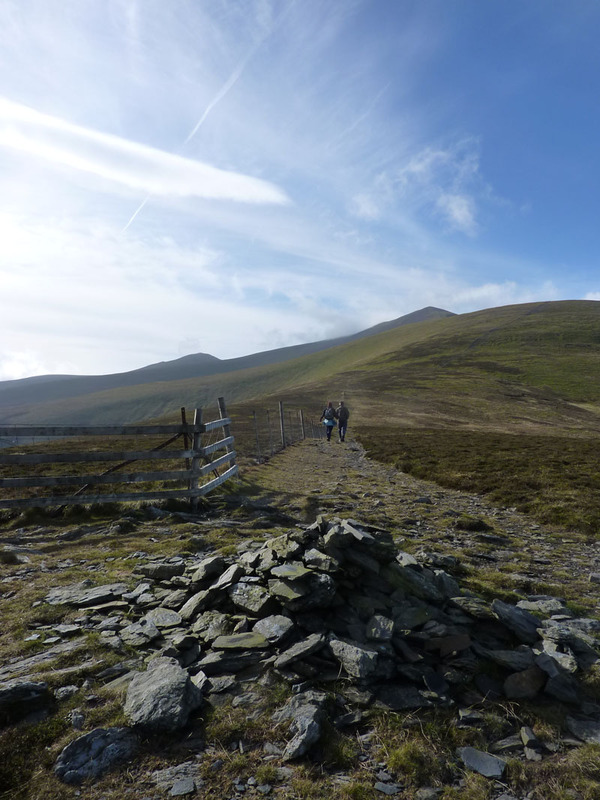 From here, we took a south-westerly direction to the track to Skiddaw House. On the way, I felt a sharp pain in my ankle, one which has troubled me recently. It had a bearing on our subsequent route. 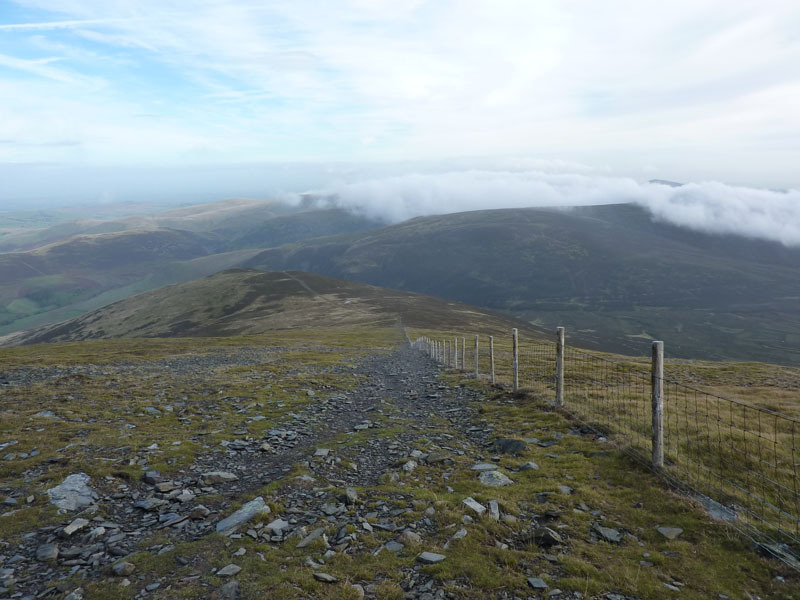 This is the track to Skiddaw House, nowhere near as dark as this - camera lens stuff. 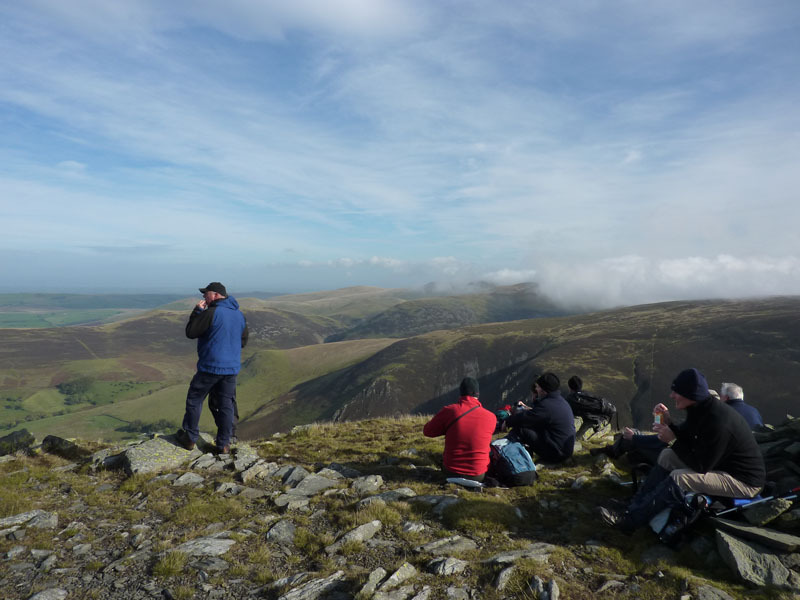 We had our sandwiches close to Skiddaw House and debated whether or not to ascend Lonscale Fell as part of our walk. I thought not, with an intermittent pain in my ankle, it didn't seem like the right thing to do and the forecast rain hadn't arrived yet, but might catch us out. 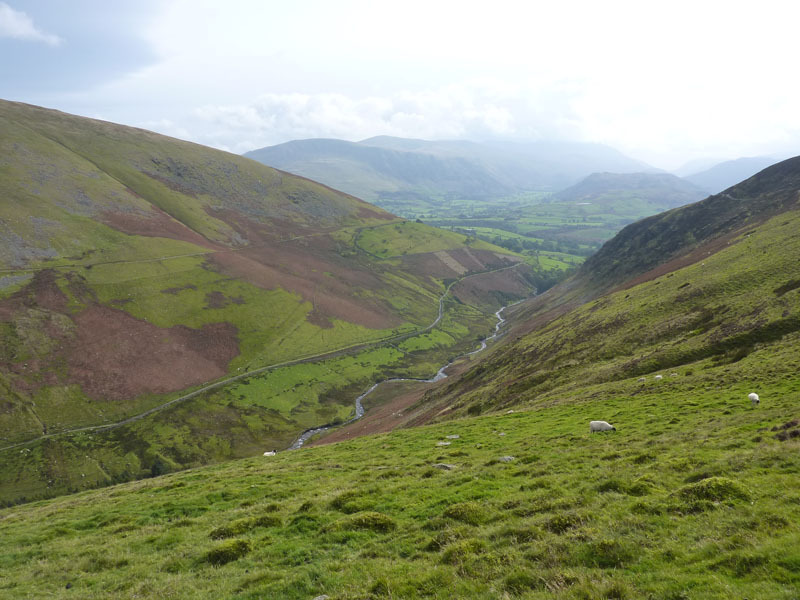 We took the path around Lonscale Fell's lower slopes, part of the "Cumbrian Way", popular with cyclists. This path leads all the way round to the car park at the top of Gale Road and then we walked along the tarmac and back to the car. Passers-by are welcome to come in have a look around. The door is "usually unlocked". Not today, however. No rain today, well worth the gamble of getting out of bed early. 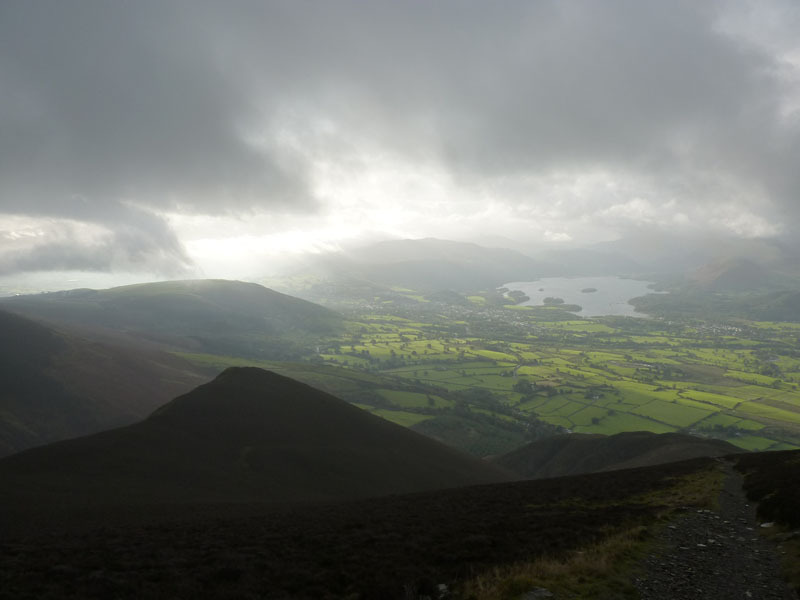 Skiddaw is best experienced out of cloud, but you can't win 'em all. Time taken: 7hrs over a distance of approx. 12 miles. 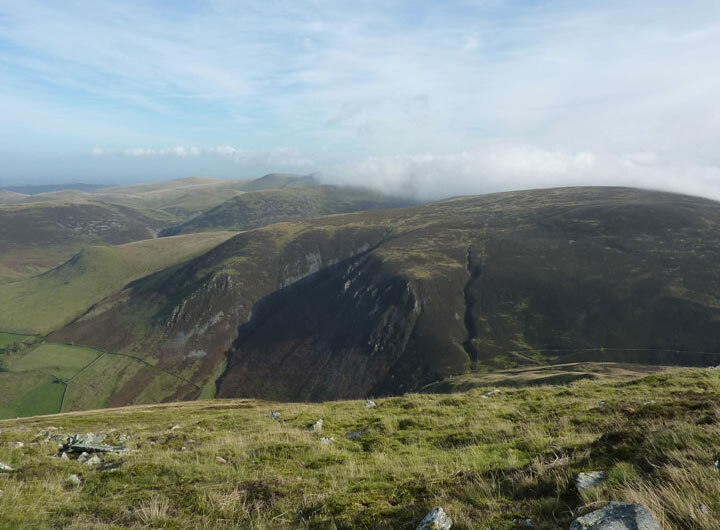 Route: Straight up Carl Side from Millbeck, Skiddaw, Bakestall, Dash Falls, Little Calva, Great Calva, Skiddaw House, eastern flank of Lonscale Fell and along the road back to Millbeck. 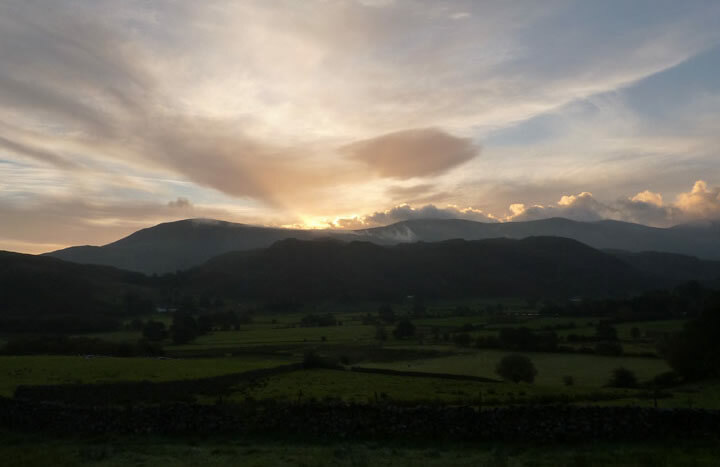 Weather and conditions: Clear at the start, misty on Carl Side and Skiddaw, clearing thereafter to give sunshine with high cloud. Greetings Count: The quiet group on Bakestall don't really qualify, there were plenty of other walkers and cyclists on the way round. 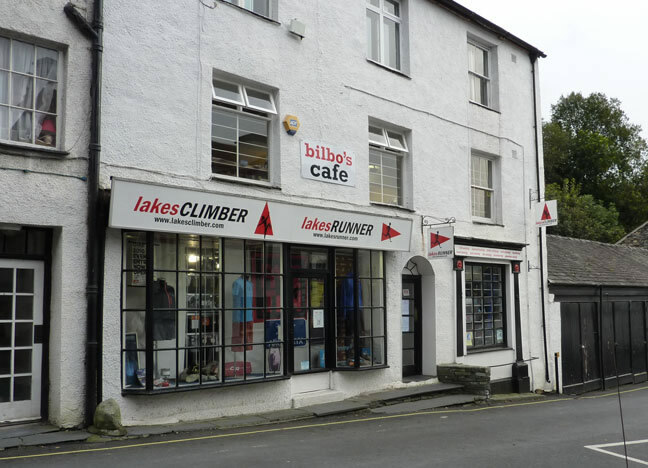 Richard's Refreshment Review: Tea and tiffin at Bilbo's Cafe, Ambleside. Upstairs from Lakes Climber / Lakes Runner. 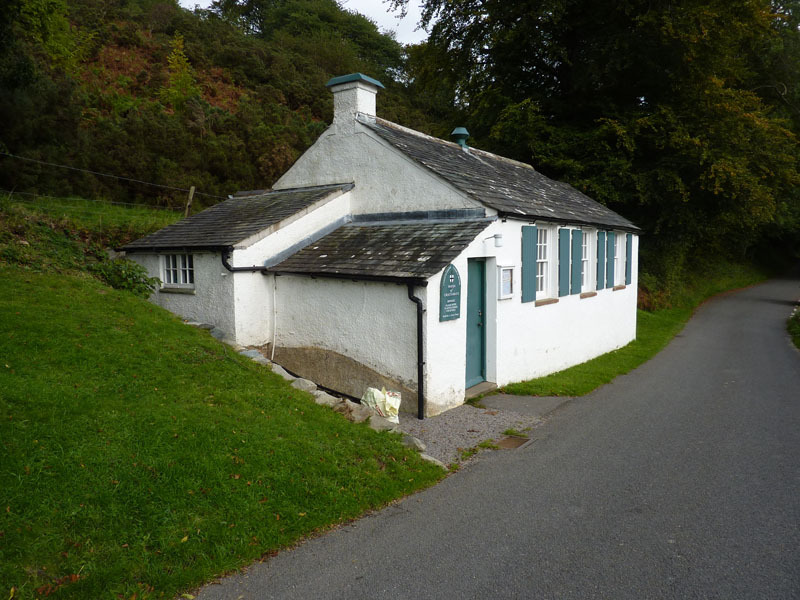 Designed for the outdoor adventurers with big paintings and a noticeboard all about running and climbing. Generous cake slices and tea is available by the pint. Lots of thin, long-legged types around, good atmosphere. Closes at 4:30pm. I found a parking spot just behind the Thai restaurant, it's not well known and worth looking for, rather than paying and displaying - if you just want a brew.